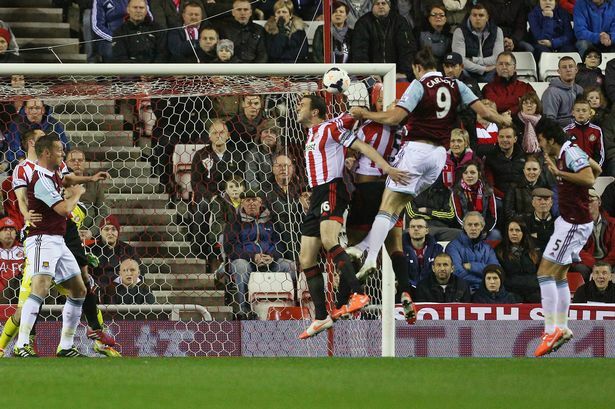 Sunderland came close to scrambling a draw against West Ham United, only to run out of time. It looks increasingly like the same will be said of their fight against relegation come May. 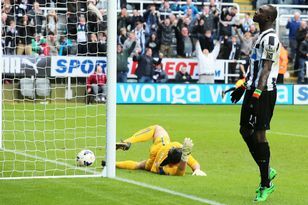 The Black Cats have lost six and drawn one of their last seven games since beating Newcastle United at the start of February. Then, they looked to have an extremely good chance of pulling away from relegation. Now they look utterly bereft of confidence and ideas. They gave a 2-0 lead to a side who, once Andy Carroll had put them ahead after nine minutes, did not need to show any ambition. Although substitute Adam Johnson’s 65th-minute goal was followed by a welter of chances, all went to waste. Sunderland have now scored 14 goals in 15 Premier League games at the Stadium of Light this season. Sunderland had plenty of possession but not the urgency to make anything of it until Mohammed Diame doubled their deficit early in the second half. For all they saw of the ball, they hardly ever got it into West Ham’s penalty area. That changed with the introduction from the bench of Johnson and Craig Gardner, the latter threading a pass for the former to convert. Chances followed but were wasted. Connor Wickham’s cross-shot went just wide of the far post, and goalkeeper Adrian spread himself well to deny the birthday boy minutes later. Fabio Borini’s shot hit the side-netting. Ignacio Scocco headed an excellent Marcos Alonso cross over the bar in added time at the end of the game. The striker signed in January is still searching for his first Sunderland goal. With the gap to safety now four points, even winning their game in hand will not suffice to take the Black Cats out of the relegation zone. Sunderland were booed off at the end of each half by a 37,396 crowd frustrated by their lack of first-half penetration and by a result which leaves them in real danger of dropping into the Championship. Their rivals will have the chance to widen the gap to safety before Sunderland’s next game, at Tottenham Hotspur on Monday.